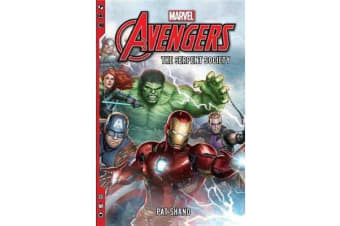 When the Avengers assemble to defeat a horrible monster that appears in the skies over Brooklyn, they quickly learn that the creature was seemingly drawn there by a young woman with the ability to open portals to other realms. The mysterious woman escapes, but Tony Stark and the team track her down, only to find she is one of a team of unknown, super-powered individuals . . . who are decidedly not interested in answering the Avengers’ questions. As the battle rages, it becomes clear these young villains are not the ones controlling their powers; but if they are not the villains, then who is? Earth’s Mightiest Heroes soon discover that the puppet masters are the newly reorganized Serpent Society, headed by Black Mamba. The Society are using this new team to bring down all who stand in the way of their most nefarious plot to date, and if the Avengers can’t protect their own and defeat this new threat, the Serpent Society will reign victorious. 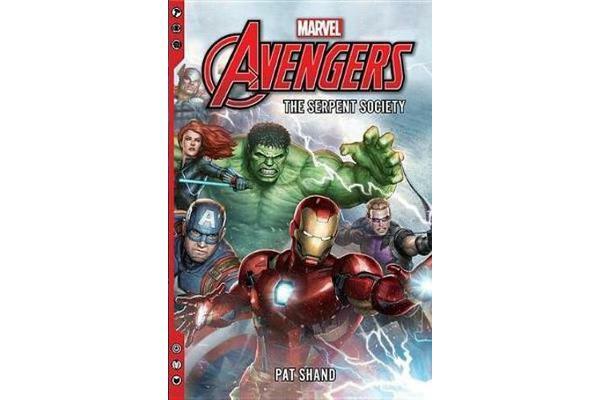 Avengers: The Serpent Society, written by veteran comic book and fantasy writer Pat Shand, will take the iconic team of Captain America, Iron Man, Thor, the Hulk, Black Widow, and Hawkeye on a heart-pounding adventure to protect not just the Earth but the very fabric of reality.